Of all the 10-second-tips that have been posted here, this is the one I most wish I knew about 20 years ago! 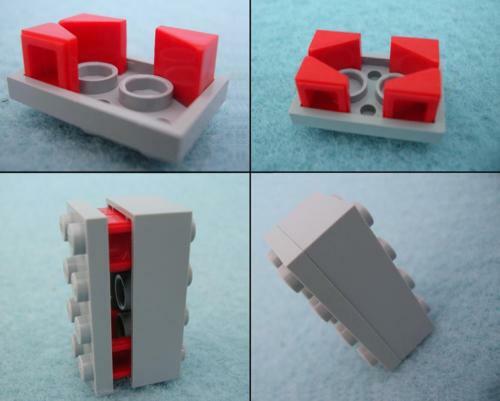 I wonder if this is considered “cheating” with Lego, though? This entry was posted in 10 Second Tip on March 11, 2013 by David. 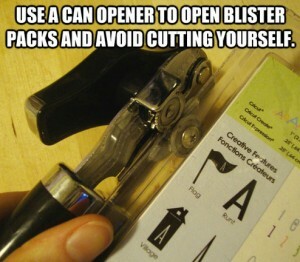 Save yourself the frustration and just grab a can opener from the kitchen! Brilliant! I hate those things! This entry was posted in 10 Second Tip and tagged 10 Second Tip, blister pack, can opener, life hack on February 2, 2013 by David. 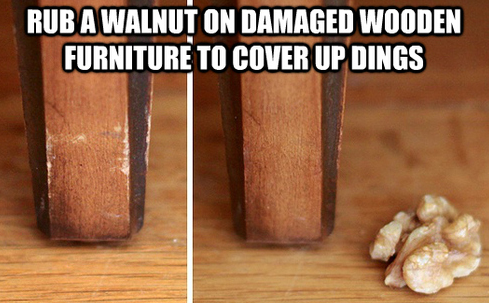 Here’s your 10 Second Tip of the day: Rub a walnut on finished wood to hide dings! Who knew! This entry was posted in 10 Second Tip, Informational and tagged 10 Second Tip, walnut, wood on December 26, 2012 by David.